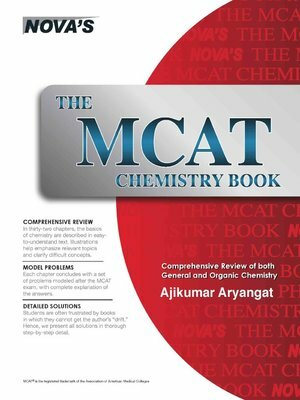 The MCAT Chemistry Book presents a comprehensive review of general chemistry and organic chemistry to prepare for the Medical College Admission Test. Part I presents general chemistry concepts, and Part II presents organic chemistry concepts. The review sections are written in a user-friendly manner to simplify and reduce the student's burden when deciphering difficult concepts. At the end of each chapter, practice questions are included to test the understanding of the key concepts. Answers and explanations for the practice questions are provided after the review sections. Illustrations and tables are included wherever necessary to focus and clarify key ideas and concepts.